Advanced Technology To Get You Prescription Eyeglasses FAST! Advanced Technology To Get You Prescription Eyeglasses FAST in Montrose, CO! This is very important in assisting the 1HourEyeDocs Optometrist to detect and measure any changes to your retina each time you get your eyes examined, as many eye conditions, such as glaucoma, diabetic retinopathy and macular degeneration are diagnosed by detecting changes over time. An OCT scan is a noninvasive, painless test. It is performed in about 10 minutes right in our office in Montrose, CO. Feel free to contact our office to inquire about an OCT at your next appointment. Please schedule your optomap® Retinal Exam today at 1 Hour EyeDocs. 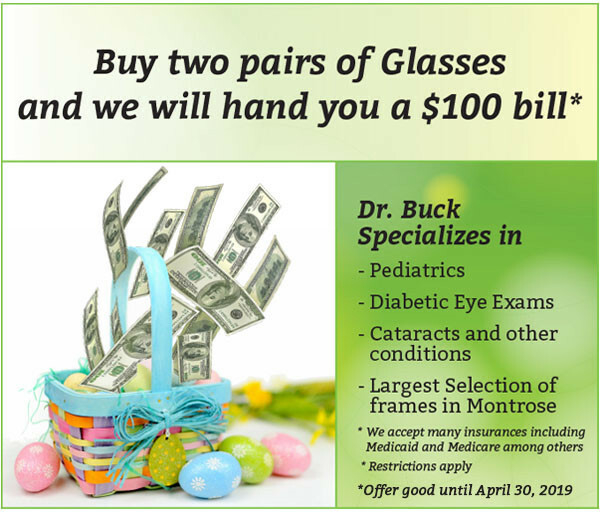 If you are experiencing an eye emergency, call our Montrose optometrist office today!